Did you know that one of the essential rooms in your entire home is your kitchen? It’s true! Not only from a functional standpoint but a financial one as well. 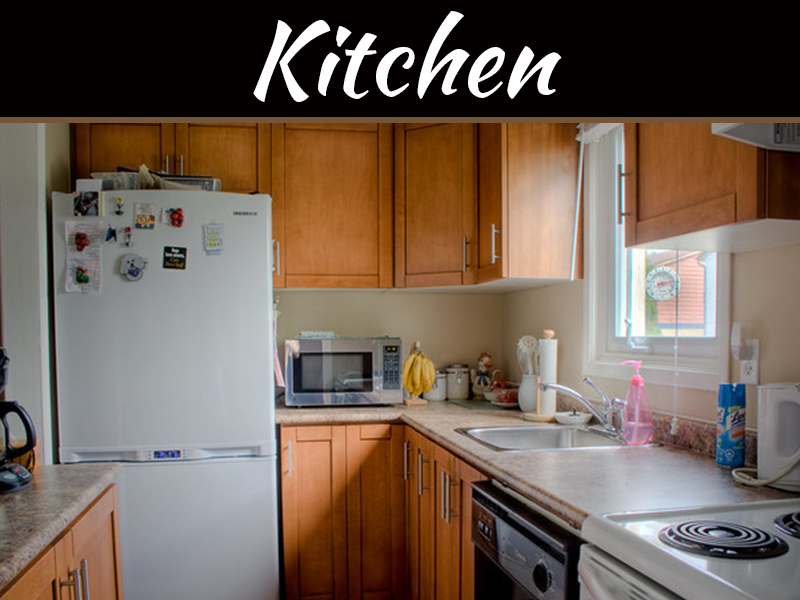 Studies by realtors have repeatedly shown that kitchen renovations can create the most amount of profit versus the number of investment dollars that you will have to put into the project. With that being said, there are many different reasons to pursue a kitchen renovation that fall entirely outside of the realm of financial investment. Maybe you want to change the energy in your home, or perhaps you want to give your property a fresh lease on life. In any event, deciding to renovate can be a huge decision. So, today, we are going to highlight seven KEY features that you need to consider for your new kitchen! Fashion goes in and out of style in the blink of an eye. 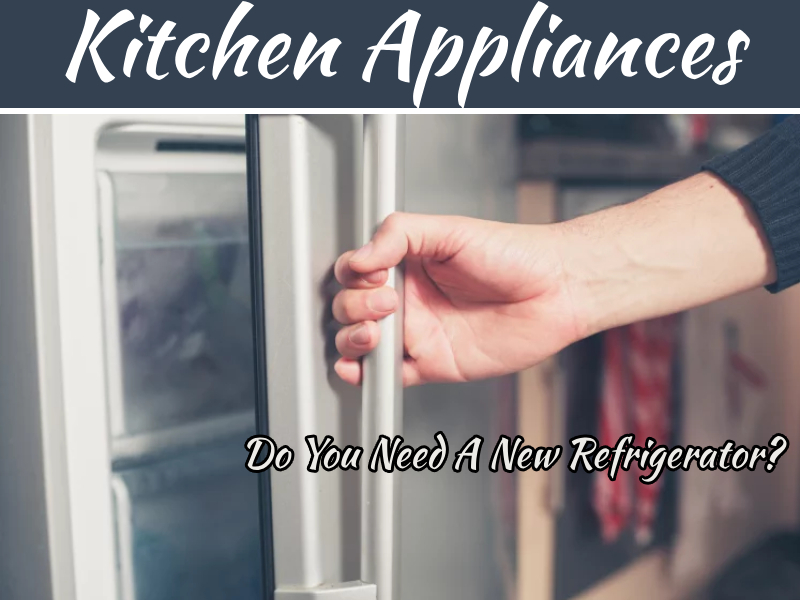 Your home may have looked amazing when you had your original kitchen designed and implemented, but after a couple of years, you might feel like you need to update everything. With kitchens, sometimes you need to do more than change out your dishes or re-paint a couple of walls. 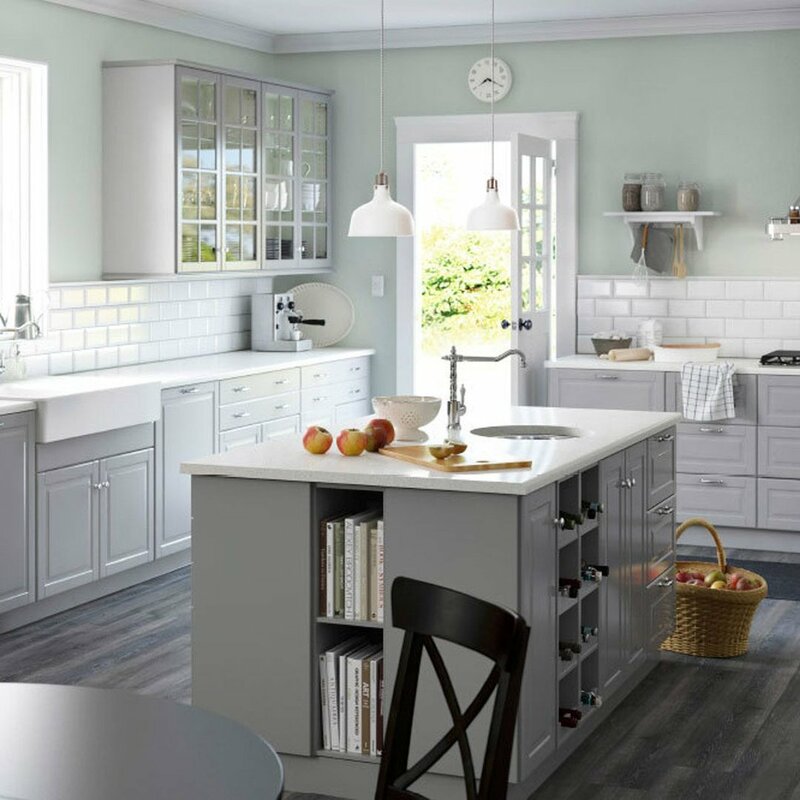 Today, we will dig into seven modern design trends and features that you MUST consider for your next kitchen renovation. Whether you live in a small ranch property or a massive mansion, these kitchen features, lauded by the Brisbane Kitchen Designers, can make your home vibrant with new life. Take a walk into your living room so that you can fire up the latest ‘home makeover’ reality show. You’ll see any number of luxurious kitchens that all feature the coveted double-oven installation. What is a double oven? Well, the name is as simple as you could expect. A double oven is merely one oven stacked on top of the other. Take a glance t your current oven. Don’t you think you could embrace more vertical space in this area? Double ovens not only look luxurious, but they are functional too. A secondary oven elevated directly above the first, is easier to access while allowing you to cook more than ever. 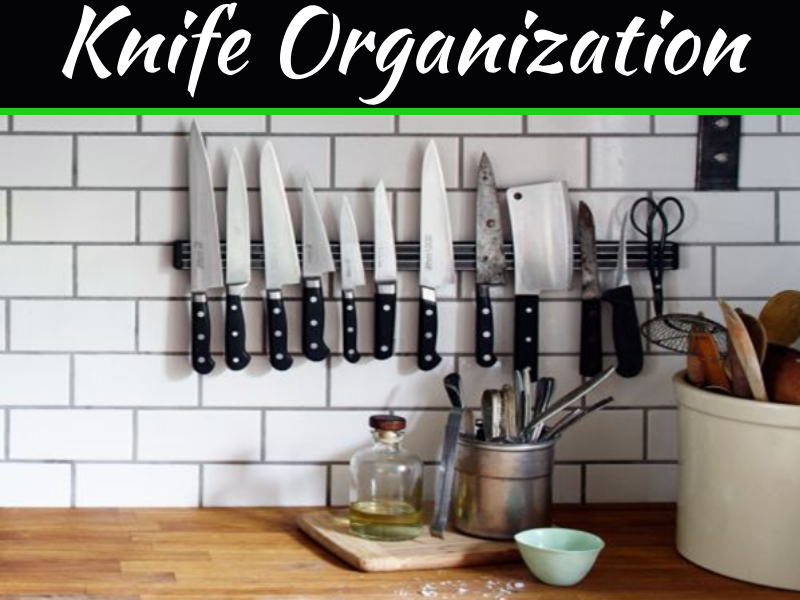 This is particularly handy for kitchens where you expect to be cooking for a large family get together every once in a while! If you want your kitchen to pop when you have visitors or potential buyers over, consider adding an accent wall. An accent wall is simply a wall that was given a slightly different design than the other walls in the room. 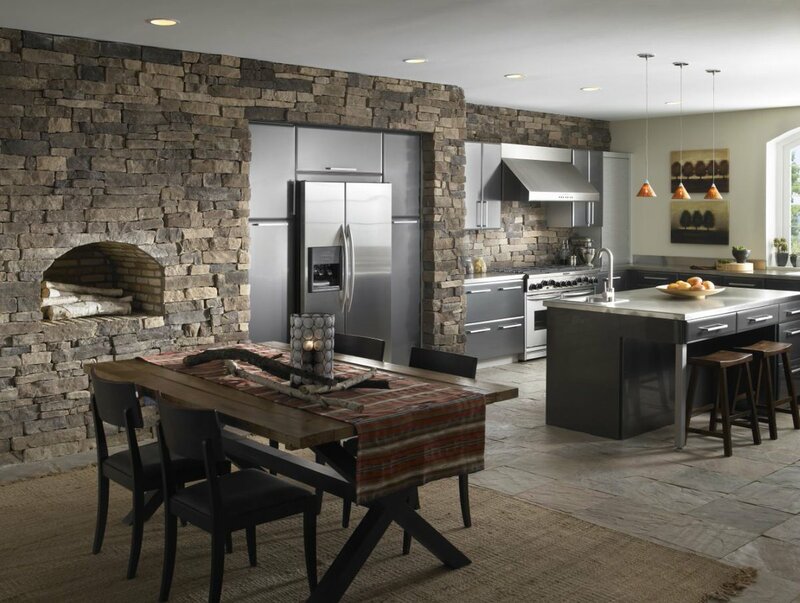 If you have a modern kitchen, accenting a wall with dark and clean tones can make for a striking contrast. If you want to bring more light or space into your kitchen, consider a pastel accent wall or something that is similarly bright and cheery. If you have a large kitchen, you need to have an island feature. An island is merely a section of counter space that is disconnected from the wall or any other features within your kitchen. Islands are amazingly functional as they can provide additional cooking space or an area where you and your dinner guests can chow down. Islands also bring a certain sense of class to kitchens, as well. If you decide to install an island in your home, consider adding an island cooktop to it. 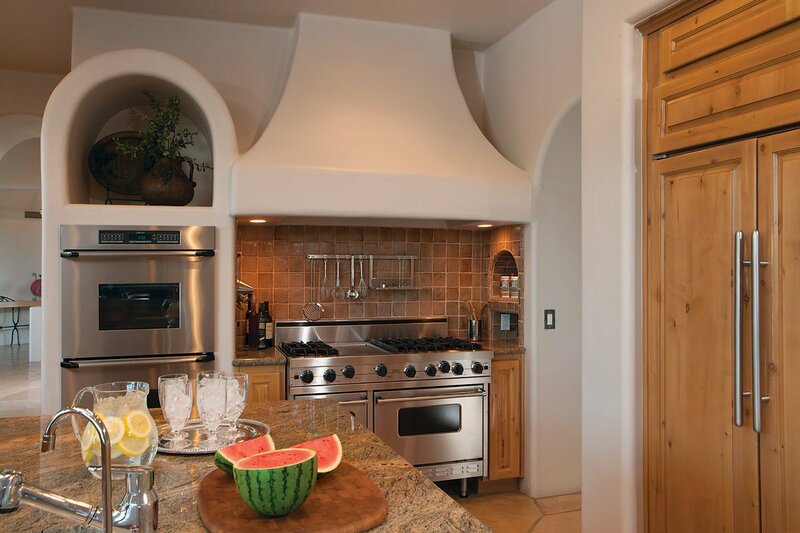 An island cooktop is just a counter space with four burners installed into the counter. There will be a drawer placed beneath your burners for all of the appropriate exhaust and fuel supplies. These isolated burners allow you to cook with ease no matter how the rest of your kitchen looks. Additional, island cooktops are extremely fashionable right now with many of the most popular kitchen renovations featuring them prominently. 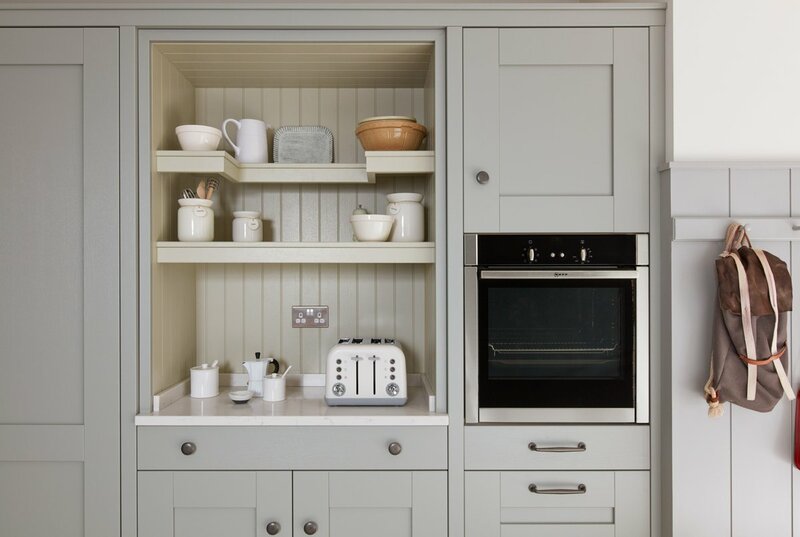 There are two ways you can address the shelving and cabinetry in an old and outdated kitchen. The first way, the most common, is to install a new set of cabinets throughout your kitchen. While this is a viable option, there is something more entertaining that you could approach. 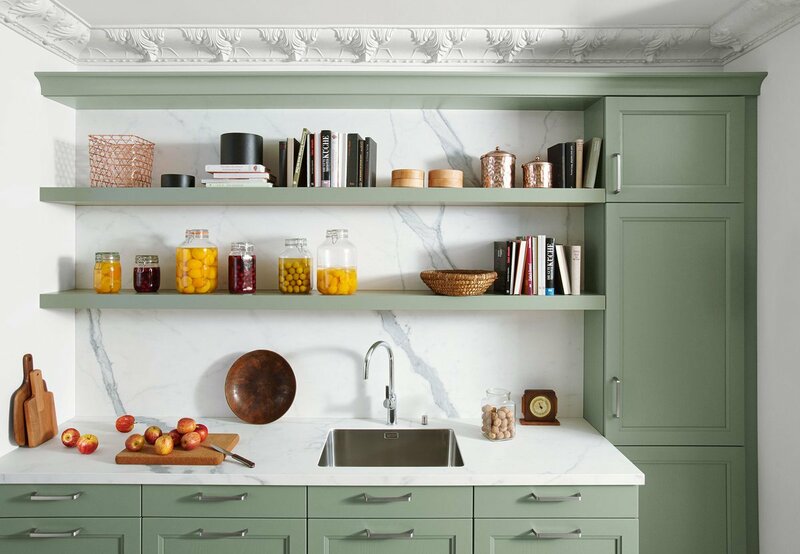 Open shelving is becoming incredibly popular in modern designed homes throughout the world. Open shelving is just a cabinet without any side or top walls, just a single shelf. These large shelves allow you to showcase your beautiful dishware while still giving you the kind of easy access that you require. If you situate extra deep drawers right next to your kitchen’s range or dishwasher, you’ll have easy access to all of your important pots and pans. Deep drawers are an easy way to bring a little bit of excitement and functionality to your kitchen. Additionally, these deep drawers will work out excellently with your new open shelving concept. Don’t be afraid to try something new! 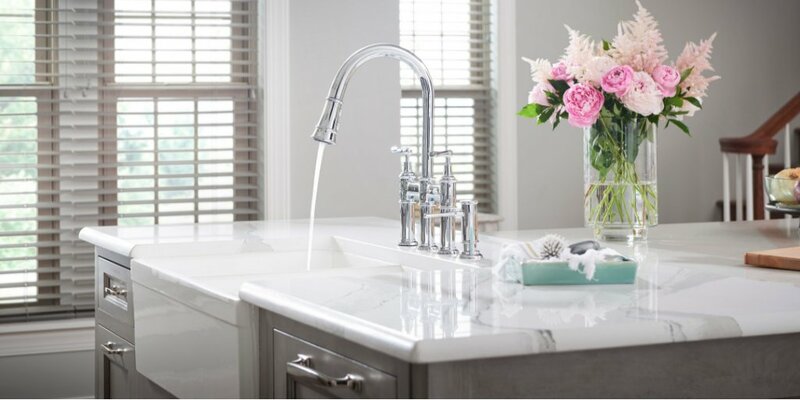 If you don’t mind kicking it old school and embracing country chic, you might be interested in adding a farmhouse style sink to your kitchen. 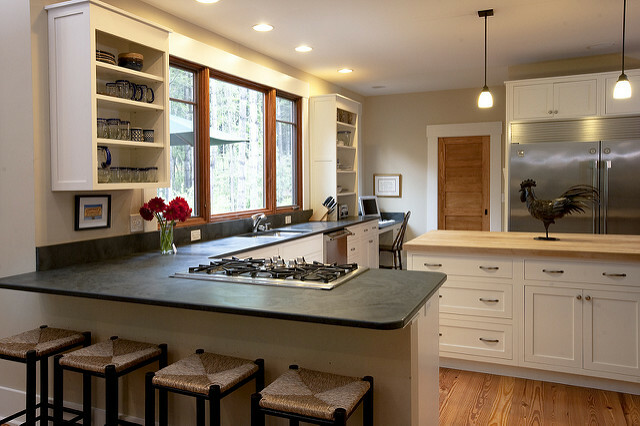 Also known as barn sinks, these kitchen features blend old-world functionality with new-school stylings. These sinks can be made of any number of different materials, and they can be stained and covered in whatever fashion that you would like to embrace. These sinks tend to be large, and they’ll give you plenty of room to cook and clean without worrying about space constraints. 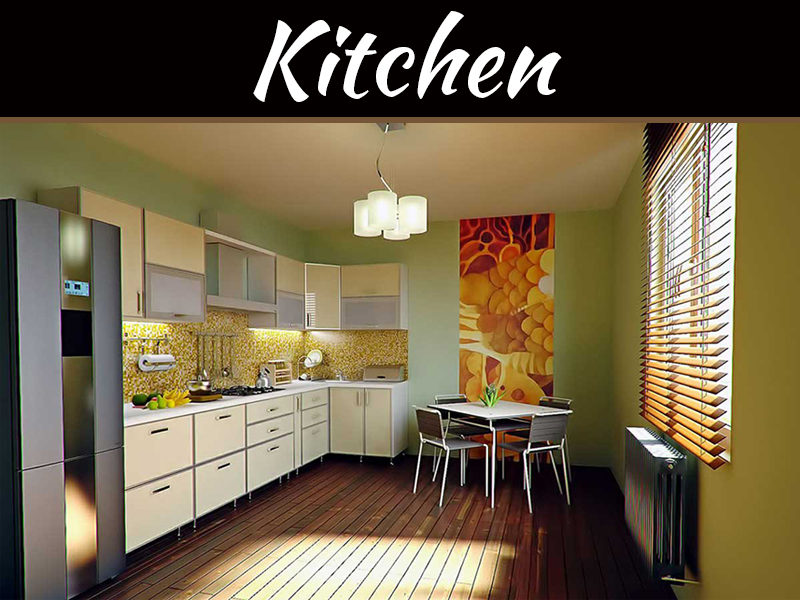 Renovating your kitchen for the new year should be a fun and exciting experience. Use our tips and combine them with your sense of style and fashion. With the right renovation team on your side, you’ll be sporting a thrilling new kitchen in no time!